Big data is turning the personal financial industry upside down! Actuaries depend on it to create more sophisticated models. Irene Aldrich, a Fintech entrepreneur, points out that many critics initially predicted big data would be a passing fad that would have no long-term impact on the financial industry. They have clearly been proven wrong. Consumers use it to better manage their finances, improve their credit scores and lower their debt. However, big data still has its limitations. Many of these problems won’t go away anytime soon. The biggest problem isn’t the limitation of big data technology, but rather how it is implemented. A recent study from NGDATA has shed some light on some of the biggest mistakes financial companies make. Follow-up research has shown how customers can misuse big data as well. Big Data is turning the Financial Industry Upside Down – But Does it Help Customer Service? 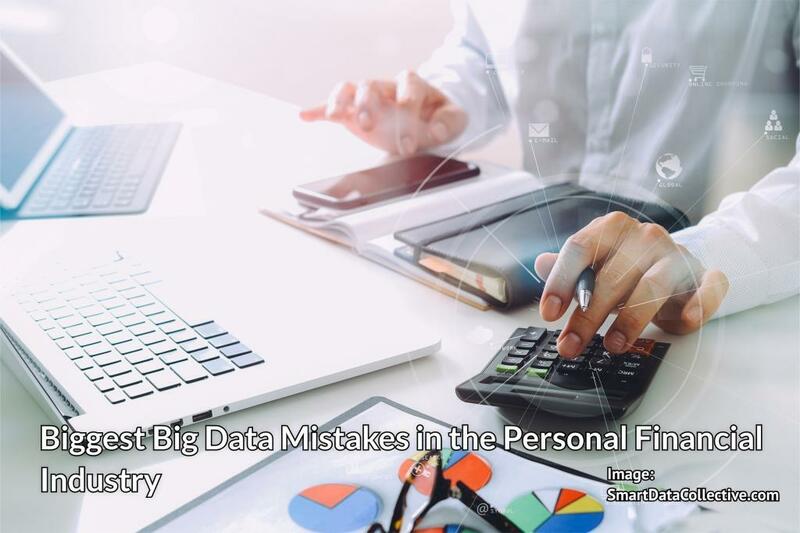 It is easy to see why the personal financial industry has become one of the largest consumers of big data. Financial decision makers have always depended on data. Big data has made their job much easier. At the same time, it can create some problems for financial companies and consumers that don’t use it responsibly. NGDATA has highlighted several problems with the way banks use big data to serve their customers. The biggest problem seems to stem from the financial industry’s cold detachment from human beings. They tend to look at people as numbers. As a result, their focus is often on improving efficiency rather than providing a better customer experience. NGDATA CEO Luc Burgelman told Data Informed that one of the biggest problems is data fragmentation. Since financial institutions haven’t assimilated important data on their customers, they have difficulty seeing the whole picture and providing great service to their customers. As a result, four out of five banking customers don’t feel their bank understands them well enough. “In retail, you can capture a lot about the person just based on online behavior. There are more and more resources online. So based on the product people are clicking on, you can build an interesting profile. In banking, that’s not the case. You go on your bank website and all you do is check your account. Making sure data is available in real-time. Capturing data at the individual level. Newer Hadoop tools have made it easier to collect highly nuanced data on customers in most industries. However, since customers have so much different financial data attached to them, it is difficult to process it all at once. This means that financial institutions don’t have a very granular understanding of their customers. While big data hasn’t helped financial institutions offer the best customer service, it has helped in other important ways. The biggest advantage has been in improving actuarial models. As a result, they have made premiums, lending rates and other factors fairer for their customers. Big data has played an important role with non-traditional lenders as well. Installment loan companies such as Uncle Buck have used it to enhance their predictive algorithms. According to one study, big data has helped them reduce the risk of default by 40%. This helps customers that qualify for loans, because they can get much better rates if the risk of default is lower. Customers are also using big data to manage their money better. There is an endless number of apps that help people cut unnecessary expenses, find ways to earn cash back and raise their credit score. The financial industry relies heavily on big data. Improved efficiencies are improving the quality of life for their customers. However, financial institutions still have a lot to sort out. Most importantly, they need to start looking for ways to offer better customer service. I am a freelance guest blogger and provide guest posting service on my high quality blogs. I have been involved in these sector since 3+ years and working with many satisfied clients.